Unless you've been living under a rock during the off season then you know about the controversy of LeBron James moving from Cleveland, OH to Miami, FL and teaming up with Dwayne Wade and Chris Bosch. The three have a lot to prove to the NBA fans and Miami Community that this wasn't a very expensive scuff and they will be able to bring the Miami Heat to the NBA playoffs and beyond. 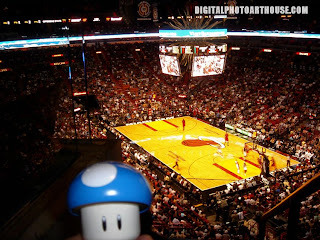 This was the Traveling Mushroom's first NBA game and rightfully so it is with a team that has been widely in the news and holds such a controversy. 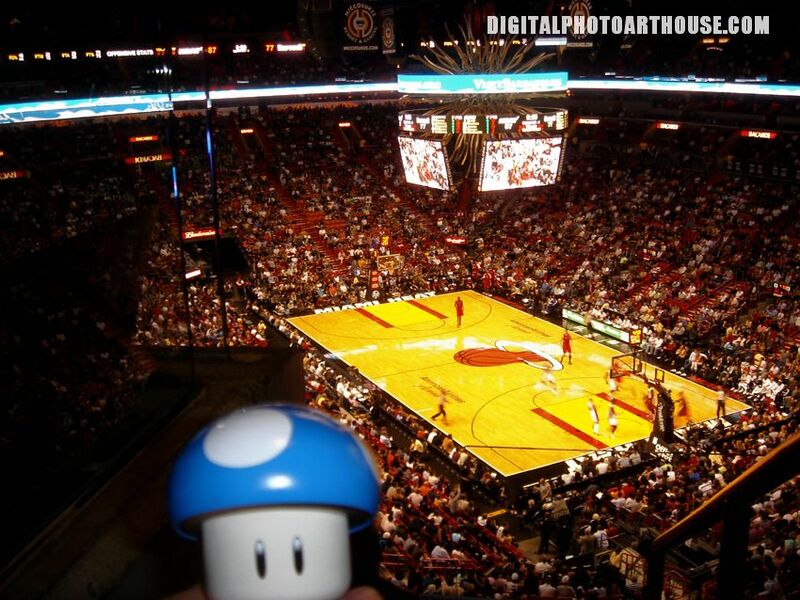 The American Airlines Arena is nestled just outside of downtown which like any major sporting event can make getting to and from and parking a bit of a headache. Winning this game against the Toronto Raptors of a final score of 109-100 putting their over-all record to 9 wins and 8 losses, it's not that great of a start. Time will tell how they will do this year and hopefully time will tell and exciting story and not a let down all hype of a year.